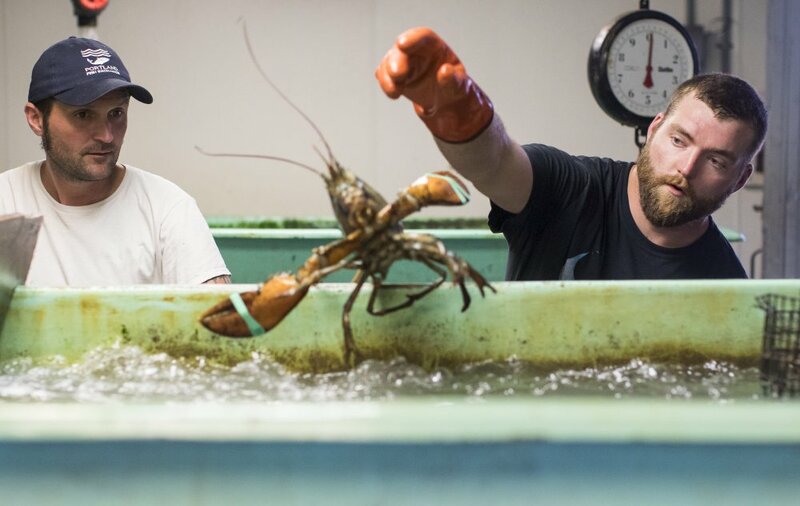 Mikey Smith, left, and Devon Fitzgerald sort lobsters at Harbor Fish Market in Portland in September. Mikey Smith, left, and Devon Fitzgerald sort lobsters at Harbor Fish Market in Portland on Thursday. A concerted marketing effort that created new markets in Asia has contributed to intensifying demand for processed lobster.